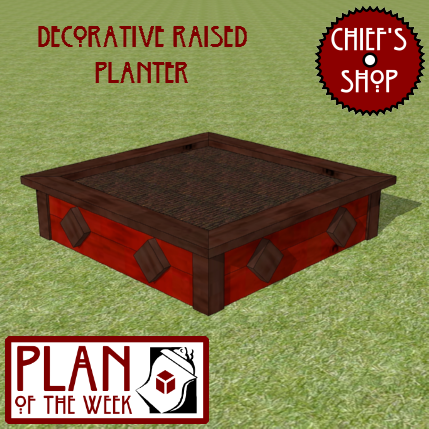 The Chief’s Shop Decorative Raised Planter can be used as a vegetable or flower planter. The decorative diamond shapes are optional, but do add a nice touch. Assembly requires a Kreg Pocket Hole Jig.